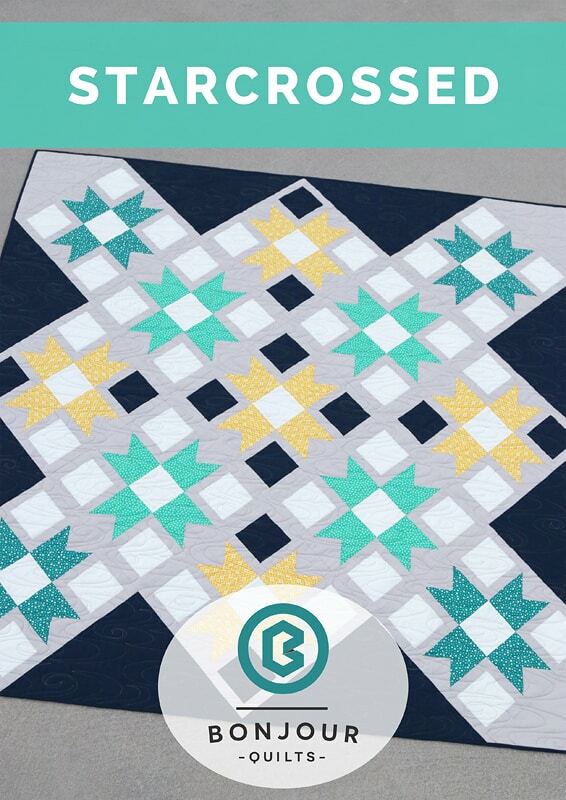 Starcrossed first appeared in Issue 83 of the Australian Quilters Companion magazine. 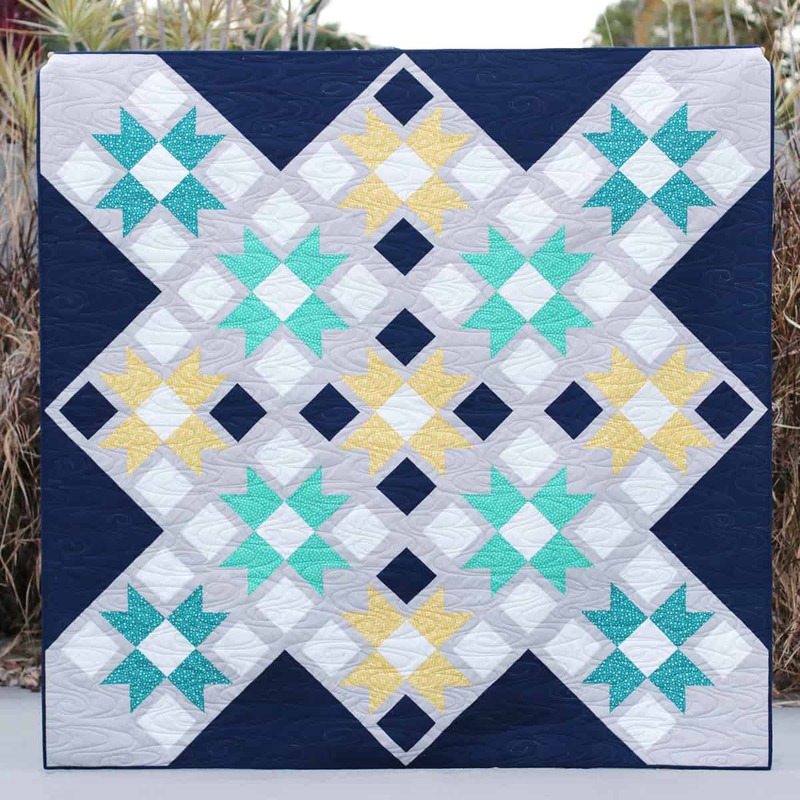 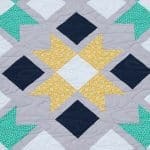 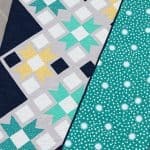 Starcrossed is an email-delivered PDF quilt pattern for a 68-1/2″ x 68-1/2″ throw quilt. 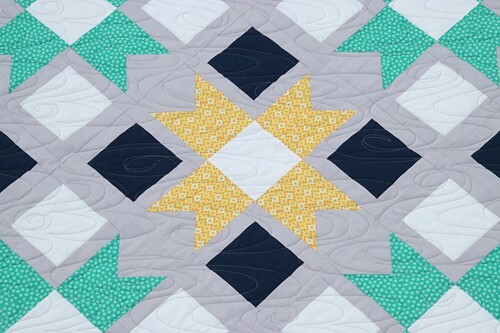 The design may look a little complicated, but it is not difficult to sew when broken down into simpler blocks. 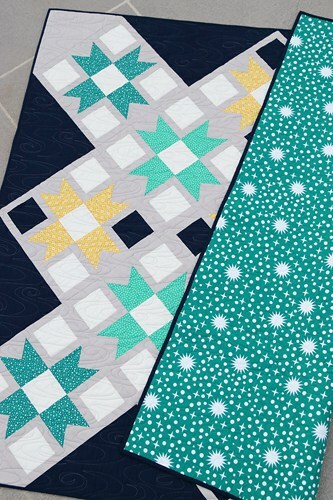 The cover version is made with Kona Storm (navy) and Ash (grey) with some green/yellow print fabrics by Elizabeth Hartman for Robert Kaufman.